Barrier 1.0. Models of care across health delivery across federal law do not share consistent meaning across federal programs (lack of interoperability). Recommendation 1.1. Incorporate specific terminology and criteria into the Social Security Act, Medicare section, to address palliative care, community based chronic care, hospice care, and end of life care for cancer or other severe diseases. Recommendation 1.2. Incorporate clear definitions of models of care into systems of treatment and reimbursement that include home based care, assisted living, long term care, nursing home care, and end of life/hospice care delivered according to the needs of the person, their chosen support system care providers, and available local treatment providers. Recommendation 1.3 Incorporate technology for hand-offs that assure continuity of care as conditions change over the life-course (e.g. pediatric to adult), or as local resources change (e.g. health care marketplace changes), as insurance contractors may change (reallocation of marketplace insurance awards or age related changes in plan participation), or as local health care providers change in composition and expertise. Barrier 2.0. Diverse definitions exist across federal and state laws and regulations that do not have shared meaning for implementation, measurement or quality. Recommendation 2.1. Adopt a single set of consistent terminology with shared meanings incorporated into federal law and regulations that flow down throughout all state laws and regulations, industry guidance documents, and contracted insurance plans. Recommendation 2.2. 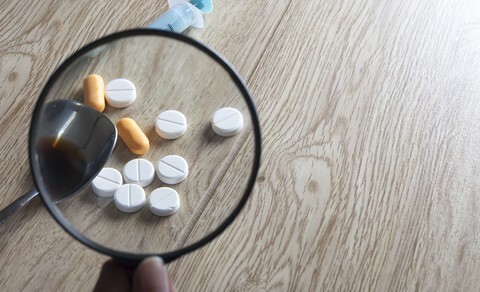 Removal of CARA forensic criteria to descriptions of beneficiaries who may require pain management that has a controlled substance component for treatment. Recommendations 2.3. Remove HEDIS criteria from insurance plan rating systems that (a) equate the care of persons with chronic illness reliant on controlled substances with terminology that inappropriately label them with opioid use disorder, and (b) ‘abuse’ and ‘utilization’ as quality factors in delivery of pharmacy services. Barrier 3.0. Entire populations of health users who rely on pain supports are not included or addressed in special populations language. Recommendation 3.1. Include persons with rare diseases into special populations criteria that may require integrated multi-modal integrated care for progressive illness over the life course. Recommendations 3.2. Include persons with disabilities (developmental or acquired) into the special populations criteria that may require integrated multi-modal integrated care for progressive illness over the life course. Recommendation 3.3. Include persons with multiple chronic conditions (CC/MCC, 2 or more) into the special populations criteria that may require integrated multimodal integrated care for management of progressive illness over the life course. Barrier 4.0. Clarify what ‘access to pain supportive care’ across urban and rural environments. Recommendation 4.1. Require state health plans to provide evidence of community capacity to serve the needs of residents within the community continuum – home, PCP, specialty care, emergency care, hospitalization, long term care, telemedicine, patient education, pharmacy services, behavioral and mental health, dental care, vision, assistive technology, medical equipment, and rehabilitation engineering. Recommendation 4.2. Require federal plan sponsors to provide evidence of in-network provider capacity to meet the needs of enrolled beneficiaries and evaluate plan performance based on these criteria. Recommendation 4.3. 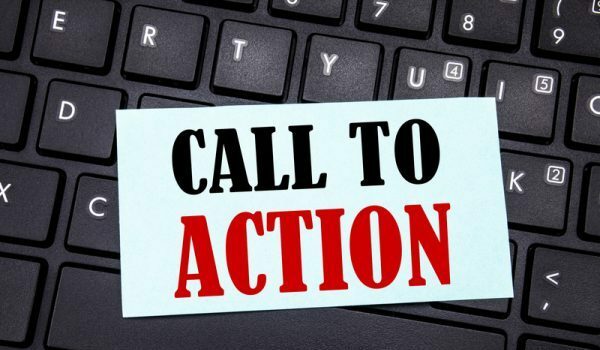 Require Medicare providers in sponsored plans to provide evidence of meeting the needs of enrolled beneficiaries, to create mechanisms for reimbursement for care coordination of chronic illness, and evaluate their performance based on participant outcomes. Recommendation 4.4. Require plan sponsors to include behavioral and other community organizations in plan delivery and evaluate performance of these plans based on measures associated with social indicators of care, patient satisfaction, and patient outcomes. Recommendation 5.1. Ensure that every health law, regulation and guideline adopted by the federal government is reviewed at a minimum of every 5 years to review scientific understandings and assumptions, incorporate new developments, identify adverse events and perverse incentives; to address design of federal program delivery and data functions, to ensure stakeholder participation, and review program outcomes. Recommendation 5.2. 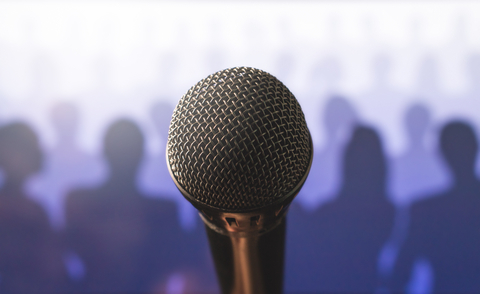 Ensure that all end points reflect true evidence based practice (EBP), and are reviewed by representative stakeholder groups for consistent and shared meaning across federal agencies. Recommendation 5.3. Widen exclusive reliance on billing data as the major source of quality data, by adopting endpoints that reflect desired patient outcomes and appropriate community focused impact. Recommendation 5.4. Adopt a continuous improvement approach to data collection and management of patient health care information that is correct, secure, correctly reflected, accessible to patients, and that there is a clear relationship between effective treatment practices and services provided. Barrier 6.0. Align minimum quality requirements for insurance awards. Recommendation 6.1. Provide clear communication to awarded insurance plan sponsors that ensures appropriate service expectations across beneficiary groups. Recommendation 6.2. Examine language and practices that encourage discrimination and underservicing. Recommendation 6.3. Provide annual summaries of plan performance to enrolled beneficiaries. Barrier 7.0. Align the provision of pain management with the biopsychosocial model of care. Recommendation 7.1. Medical education must be realigned as a whole body, multi-systemic construct rather than simply the delivery of analgesia and anesthesia. Recommendation 7.2. Increase health literacy about pain as a preventable health issue using cross-disciplinary pain education into a wider distribution of personnel preparation applications – psychoeducation, pharmacy education, substance misuse services, social work, community mental health counseling, rehabilitation counseling, and allied health disciplines – occupational health and physical therapy. Recommendation 7.3. Incorporate developmentally appropriate education into public school health and science criteria that increases availability and accessibility of pain education resources that emphasize wellness, literacy, and prevention of preventable injuries and chronic illnesses. Barrier 8.0. Reduce the influence of the Drug Enforcement Administration as an arbiter of health system operations across health care sectors. Recommendation 8.1. Remove prescriptions issued to exempted beneficiaries from the algorithms that currently are used to target ‘over utilization. Recommendation 8.2. Address communities that drug planning will be based on assurance of supplies of essential medications that may be listed as controlled substances for routine dispensing, perioperative supports, in hospital surgical and routine care, hospice supports, and end of life needs. Recommendation 8.3. Encourage physicians to increase the numbers of persons served who fall into exempted categories by removing threat of arrest, civil forfeiture and other practices which create perverse incentives with abandon or provide substandard care to patients. Recommendation 9.1. Increase sponsored post practice pain education. Recommendation 9.2. Reward effective practices and create interdisciplinary mentoring. Recommendation 9.3. Incentivize optimization of patient outcomes and learning through pay for performance. Barrier 10. Reward and incentivize true patient centered care. Recommendation 10.1 Link evidence of patient choice in treatment planning to healthcare outcomes. Recommendation 10.2. Implement media campaigns to root out misinformation. Recommendation 10.3. Beneficiaries to federal law, regulations, guidelines, contract awards, and federal/state or provider agreements are provided with recourse and mechanisms for complaint investigation, and has the right to refuse heath care practices that may result in harm or be inconsistent with personal values and culture or health status. How Does the Government Limit Scientific Research on Cannabis Sativa? I chose death with dignity. I will not be shamed for my choice. Just like I hope you are not shamed for you choice. I will not go to the streets for illegal drugs. I will not continue in this pain. I will choosy exit and die with my heart and soul intact. I have a right to the pursuit of happiness and for me that is the end of my living hell. I respect your thoughts please respect mine. I need medication to function. I can’t have the medication I need because of the people who got involved and had no idea what our lives we’re. My blood is on the hands of everyone involved in the 90 MME choice. I pray that it haunts you. Again that you for your thoughts. Niave as they are. Blessed be to everyone. Please keep me in your prayers 🙏. I have been in chronic 24/7 pain that started with a car accident 32 yrs ago. With the help of pain meds I was able to work and not be on the system. I eventually had further injuries that came up in the years but all related to my body compensating due to that accident. As a care taker I watched people die from sudden stomach bleeds due to NSAIDS. And, develop other serious diseases from them. I did try all of them, they all made me to ill to take, and didn’t help my pain at all. I have been on and off pain meds I have NEVER once had a withdrawal symptom or the need to find drugs from another source. However, without pain meds I have no quality of life. I lay in bed crying in pain. I have days I cannot get up from the bed and cannot even lift the remote to change the tv channel. It is agonizing 24/7 pain. It has cost me basically my life. At least with pain meds I have some life and some dignity. If I am having a good day I don’t need the pain meds. I can just take Tylenol. But on my bad days I need the help of the opiod to take care of myself and have some kind of dignity and quality. Yes, everyone has had pain. But, what people don’t realize that when it’s severe and 24/7 with never an end in sight that is totally different. And yes, I use other coping skills all day everyday as well. Pain meds don’t take everything away. But, enough to be able to deal with it. Unless you have it, you have no idea what us chronic pain people actually go through. I want to thank all the people out there who are willing to stand up and fight for our right to have our meds for our pain, for our basic quality of life. We are not abusers, if we have a good day we don’t take them that day or we take less than prescribed. Page 22 Add: Recommendation 1d: Require positive coverage decisions across third party payors and charge caps as an average so self pay patients can have the benefit of reimbursement limits enjoyed by third party payors. And that is all she wrote. I was unable to review pages 23 to end and still get my comments submitted before midnight 3-31.19. Page 17 Recommendation 1a: Add: Upon initiation of opioid therapy, discuss PDMP check with the patient who is being checked educating the patient concerning the database, the fact it is statewide, multistate, and national. (It will be at some point. Chains such as CVS already are.) Inform the patient checks are periodic at any time during opioid therapy and that all prescriptions are also reported. Page 18 Add: Recommendation 1j: Ensure security of patient data, restrict access, and require PDMP systems to have an audit trail for each access to minimally include accessor, time, and date so that if there is any misuse of patient identifiable data in conjunction with opioid prescriptions, immediate identification of who accessed the data and when can be done. (Too much sharing of opioid data puts patients at risk from those who would use their data access for nefarious purposes. For example, I must often educate pharmacy staff to never say oxycodone when speaking to me about my prescription. I tell them there are people who would kill or mug me to get it. Page 19 Recommendation 1a: Add: Educate patients at onset of opioid therapy about PDMP checks, UDTs, the role each plays, and that periodic applications of these measures may be done any time during opioid therapy. 5) Dispell unproven maxims. I have heard this over and over: “Frequently people get hooked on illegal opioids because of prescribed opioids for an episode of acute pain such as post injury or postop. In my experience this is not true. I was given 5 mg Percocets for several days when I was 18 for post wisdom teeth extraction. At the age of 26, I was given 10 mg Percocets for a week postop for a large and deep pilonidal cyst excision. In my mid-40s, I was given oxymorphone and then 10 mg Percocets for a week post knee surgery. Finally, post abdominal surgery I was given oxymorphone for a week and then 10 mg Percocets the second week. After my medication regimen was complete, I did not feel a need to go look for illegal opioids. And, I did not feel any discomfort nor withdrawal. 6) Create a definition section. For example, on page 5 second paragraph there is footnote 19 which references “opioid misuse.” These types of terms must be defined and include how it will be measured. 7) Keep mortality numbers and statistics separate for each group–the chronic pain care population, the acute pain care population, and the illegal drug use population. 8) Develop via diagnostic coding and procedural coding a list of indicators for procedures and morbidity which should be kept on an ongoing basis so that various treatment approaches can be objectively assessed such as complication rates, infection rates, common adverse effects, and secondary diagnosis that happen as a result of chronic pain management. For example, as a direct result of long term Naprosyn treatment, I developed hypertension. 9) Consider a mission statement for the Draft Report so that all recommendations, goals, objectives, and requirements or regulations are in direct support of the mission statement. 3) Always prioritize patient care before the agenda of other stakeholders. A consequence of stakeholders being the priority is that the doctor’s judgment has been effectively over ridden and the pain patient pays the price with more and increased suffering. 1) Do not mix the governing of pain care patients and the governing of illegal drug users. 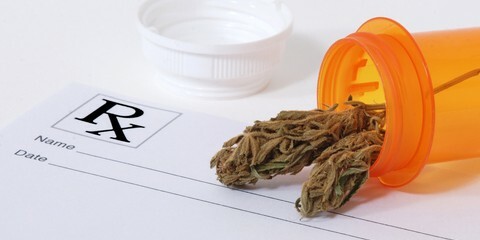 Too much of the discussion concerning chronic pain management in the Draft Report intertwines legitimate pain care (patients, providers, and stakeholders concerned with legal sources of prescribed controlled substances) with the illegal drug use environment (illegal drug users/addicts, illegal drug dealers, and illegal sources of controlled substances). Even statistical mortality rates of ODs are unclear as to whether they reflect only patient care populations or illegal drug user populations or both added together. This is a huge problem because false conclusions and actions may result and have resulted. Also this intermingling of spheres perpetuates stigmas, leads to wrongful administration of patient care or lack thereof, creates distrust, and disrespects chronic pain patients along with those involved in providing care. In the last several years the priorities of those governing the pain care management environment have been put ahead of the patient care priorities of the chronic pain patient. Chronic pain patients should be the priority stakeholder, but we are in the “back seat” so that the needs of other stakeholders can be met. This has caused unnecessary suffering to chronic pain patients and damage to the providers of that care (even to the point of drastically reducing access due to the closing of pain care providers or their quitting). So all significant topics of the draft report should have subsections as follows: a) Chronic Pain Management Care, b) Acute Pain Management Care, and c) Illegal Drug Use Environment. Addressing each of these spheres separately ensures that all standards, developments, applications, and/or requirements are clearly defined and aimed at the appropriate environment. I’d like to add that the hysteria surrounding the opioid “crisis” has created a huge barrier to obtaining appropriate care for my wife. She was under the care of a doctor who abruptly retired without making provision for her grandfathered-in treatment regimen to be transferred to another doctor. She has rheumatoid and osteo arthritis, fibromyalgia, cervical and lumbar disk degeneration, and internal keloid scarring from multiple abdominal operations throughout her adult life. In addition, she is allergic to the non-opioid treatments for these chronic conditions. She was thrust into the “pain-management” system, where the focus is rather on pill management. Under her former doctor, her pain was well-managed with what are considered high doses. The various pain-management doctors we’ve seen have refused to even consider continuing treatment at the prior levels, leaving her in excruciating pain. In addition, they have attempted to give her marijuana, which recent studies show is a psychotic and which is (of course) still an illegal drug at the Federal level. The medical system is broken and has abandoned people who, like my wife, depend on it for palliative care. Hi, I was just researching what MDs were saying recently about CP patients and the CDC. I’m in n the midst of my comments re Draft Report, but I was so upset after reading this article, that I had to send link to ALL the eloquent people here hoping someone will write to this author. by EJ Dickson, March 9, 2019. The tone, the ignorance from such a respected medium is really ticking me off, especially 3 years in. And I quote, ” …given the clear link between prescription opioid use and long term addiction (CDC data indicates more than 240,000 people died of prescription opioid overdoses between 1997 and 2017, with 5 times as many deaths in 2017 vs 1999)….how can MDs determine” ….blah blah blah…then, a Dr Satel says a “majority of pain patients will not develop addiction”, and Dickson pompously says “that seems somewhat generous given the millions of Americans who already have”……wth? The myth that ALL addicts funneled thru legit medical facilities. Of course, there is no comment section, but hoping someone will fire off a blistering reply. Today I want to say you go to a soldier cemetery and you look at all those white crosses and you think of the survivors that are left without limbs or have chronic pain that fought for this country, of all people they should not be denied pain treatment. And all those white crosses represent people who fought for freedom and for the belief in the United States. I love my country but the government has no place in my Physician’s office. Physician spent 18 or more years in school to learn their trade. And there’s people in government that have it spent that long being in government. I feel blessed to live in the United States but I wish they wouldn’t subjekt me to torture , I thought United States fought against tyrants. I served this country for over 7 years i dedicated my life to help people and teach them how to survive if ever they become held captive. To be able to teach the best in the world one must experience horrible things so first hand knowledge can train the ones you never hear about. From weeks of living with only a knife in the mountains to being in a trunk for days. parachuting into bad spots, resisting interrogation from the enemy all of my training there was risks but i am still thankful to do what i did to save many. Although training there is still accidents. At 25 i was medically retired due to a bad parachuting accident. Now i am rewarded with lifelong battle to function the rest of my life. TBi from explosions and hand to hand, degenerate cervical disks disease and lumbar disk disease, constant muscle spasms, nerve damage in wrists, legs and feet. Isaacs syndrome, spondylosis Hearing aids for both ears, ibs, PTSD and chronic pain to remind me of it all . Now walking speaking hearing writting concentrating sleeping showering all functions are a pain in the *** to make happen. Thats ok ioved what i did and i saved lives and would not take back anything. I function now only because pain management. I pick up my beautiful girl and walk in a park not begging for mercy from the pain. I look weak i feel weak but no one knows what strength it takes to endure pain unless you have done it. I wish it was like every one thinks i take a pill and magic i run hike work and go back to normal…..pain management is not just opioid use. I live on a foam roller, physically therapy 3 to 4 times a week, mobility workouts at home morning and night, compound creams to calm pain spikes and debilitating spasms, electric tens unit, psychology to remind me im not crazy and the pain is there. All of that just to hopefully get 4 hrs of sleep an be with my kids it is my new full time job to just manage pain. Now the media lables me a junkie because a MD treats me?Like i did this on purpose. Brilliant! Thank you. I would like to add two concepts: Opioid use for chronic pain can be legitimate and opioid use is not necessarily “addiction”. (Use is not necessarily abuse) . Tolerance is a predictable, treatable medical phenomenon. 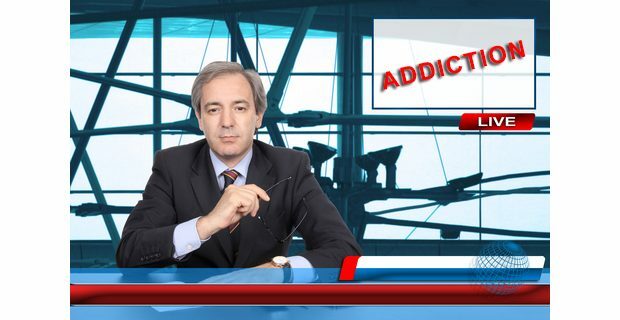 It is not a definition of addiction. In a perfect world everything sounds wonderful. You forgot 1 thing tho, : reduce or in some cases eliminate the role that person’s without medical degrees take in making medical decisions in regards to any patient. I. E. Person’s without medical degrees should not be allowed to make medical decisions or pass laws that force medical decisions to be made by patients or providers to unnecessarily encourage the suffering of a patient because of the fear of incarceration or oppression by ANYONE. I agree that the government nor my pharmacist should have any say what so ever in what and how my PCP prescribes for my chronic pain. I have DDD, scoliosis, siatic nerve damage and constantly live in pain. I was taking 40 mmg of Norco a day which isn’t much but I was able to get up and go to work. I’m a widow and live alone so I have to work but now because I was abruptly taken off all medicine most days I can’t even stand much less work. I’m depressed, angry and in excruciating pain every single day. People tell me disability but I know that system I can’t be unemployed for two to three years I’ll lose everything I’ve ever work for. . I wish our government (CDC) would have to live one day as I and many others like me do. I was hit by a drunk driver in 1989. I have had 5 back surgeries to date. I now refuse anything stronger then Percocet because pain medication no longer works. It only thats the edge off. When I take my prescription to the pharmacy that I have been using for many years I am treated like a criminal. When will this stop? I have even taken my medical records to the pharmacist to prove to him that I am in need of the medication. Hey ya’ll. You just have a few hours left. What are you doing today? On behalf of the pain communities left suffering, we extend our sincere appreciation for your dedication, support and advocacy for all in pain. In Europe people with legitimate pain issues dont live with pain ! Good honest people are not treated like crack addicts but with dignity respect.We are not pain free professionals advocating for pain freedom any lo ger in usa but pushing people into trauma..into suicides into lives of no activities due de ere pain.Ive witnessed an RX manager call police as a 92 year old grandma started tears after they said Walmart no longer issues pain meds for cancer-! Same at Target a cvs.Honestly if I ever have cancer I’m going canada.I love my nation but we do crazy things to harm people in name helping them@! When 92 year d cancer patient left RX in tears we heard *”RX director*” say out loud for all to hear..”that was mrs.xyz..named her first last name…that old lady will die of horriable type cancer and no one can help her with lowering pain now..as our RX directors have told us..ordered us..to stop filling pain scripts for anyone..just we must lie to customers now”–he had a PhD in pharmacology!!!! I feel God will not be happy with our treatment of those with legal pain issues. I hope at times these people who have destroyed pain mngt.may one day suffer the same pain as the sweet 92 year old that someone fears is America”s next crack head@!!! May God Forgive those who force the sick to die in pain.amen.Honestly Iwould not wish pain on anyone but why do we create such negative situations for our people? Terri, I appreciate very much your efforts and what you are doing for me and countless others who suffer needlessly in terrible and unnecessary pain on a daily basis, because proper medication and care is not provided or being given due to the users and abusers. Unfortunately, they ruin it for the rest of us, just like every other priviledge and right we have lost. The needy and the good always suffer because of those who choose to do wrong. Wow… I understand about 65% of Terri’s presentation, but I am not nearly as well versed as She when it comes to how Chronic Pain practices integrate with Insurance Companies, Medicare, and the like. I’d like to “Second” Laurie’s post. The Head Doctor of the practice had Me see Him when I tested for alcohol, which I didn’t know was a problem. I just said I don’t think the Government has the right to interfere with Your practice, and I don’t think Pain Doctors should have the right to tell Me how to Live My Life. (I shared this with respect, but was sincere) All in all, pretty Technical, but sounds good. Thank You Terri.. It takes people that has a conscience to care about what happens to other people. Unfortunately it seems the government and Physicians only cares about addicts. If it’s not happening to them then they don’t care. I say Physicians because my PCP was all four years saying oh it’s it’s fentanyl it’s heroin and just the other day in front of a soon-to-be new doctor in training he says surgeons have to give low-dose medication due to the fact of it only takes one time for someone to be addicted. BC talk about my upcoming surgery. I cannot believe how he went on for 4 years about how upset he was about chronic pain people not getting treatment even though he was not prescribing opiates that it’s coming from China to oh we have to protect people from becoming addicts. Can’t believe he just just flipped on a dime. Chronic pain people don’t chance of getting pain treatment like a snowflake in hell. I am so disappointed in my PCP. I really believe what he was saying for the whole four years just to find out the truth of how he really feels. Thank you Terry for your input very insightful. Disagree with only two things. Doesn’t matter. Finally Someone may help us. If I understood this correctly. I didn’t ask for body to be this maimed. I happened supporting my family. Oklahoma law is 20 (med ) and it’s not fair. The government and active legislation has no intention of treating IPPs or SCPPS. There is no pain management system in the USA. An inept and lazy healthcare system combined with a similar government is killing myself and other IPPs. Thank you Terri. Your dissertation is correct. But implementing any of your advice will take longer than my body will survive because Government is not dying or in pain. Government is not the answer. Nor is civil asset forfeiture and law enforcement overreach and SWAT murders of innocents at 2 a.m including pets in the name of the drug war. The Controlled Substances Act and other mistakes including the murderous, greedy DEA and thin blue line should be abolished. Government is not the answer. Immediate action for the suffering ill without interference is necessary now. Not tomorrow. A big thank-you to Terri! The complexity and length make both the HHS draft report itself (and therefore any formal response to it) beyond the ability of many chronic pain patients to deal with. Terri’s response is in a language and format that the task force should understand. Frankly, I don’t think we ordinary citizens should need a Ph.D. to interact with and be heard by “our” government. However, I’m certainly glad we have an eloquent and knowledgeable advocate like Terri! I would agree with the post that recommends placing Barrier 8.0 first. Revise current regulations so that the DEA has an extremely limited role in healthcare. The DEA’s primary job is (or should be) to prevent the influx of illegal drugs from other countries, combat drug trafficking and pursue blatant violations of the law. IMO, they’re not doing a very good job of that. Illicit fentanyl continues to flood into the U.S. Also, I never did understand why small-town pharmacies, mostly in the Midwest and South, were allowed to receive sufficient quantities of Oxycontin to supply the entire town many times over! Where was the DEA then? At the same time they continue to intimidate healthcare providers and make life miserable–and in some cases not survivable–for patients who have nothing to do with the “opioid crisis”. I’m not optimistic but hope that that the task force listens to us in revising the so-called “Guidelines” of 2016. The treatment of long term (chronic) pain–including the responsible use of prescription medication–is a healthcare issue, not a law enforcement issue. I have been a chronic psin patient for 18 years. A year ago I was worki full-time as an accountant at a large telecom., receiving awards for my work. After having my dose decreased to less than half, iam now unemployed and unable to function during the day. I thank you for submitting this to the people who make up the laws concerning pain and state laws. I am disabled and need to use opioid medications. I have multiple sclerosis and other pain issues. I feel that if you need meds. The laws should be the same state to state. I did the survey and sent it in. Hopefully it will be heard. We are not crimals. Don’t want to take meds but I have to so I have a life.Thank-you again. To Dr. Lewis – YES. Thank you. This RN – and many like me – are so immensely frustrated at the state of and attitudes toward pain management in medicine. So many suffer unnecessarily. Medication therapies never have been, and never will be, one size fits all, and government needs to have a clearly defined, smaller role in medicine – a role that doesn’t equate to physicians and mid-levels being terrified of reprocussions by simply treating their patients. To Gary Raymond – Firstly, this isn’t meant for a lay person. It’s meant for people in medicine, and those in law. “Just give them pain medicine” is oversimplifying an extremely complicated area of medicine. Believe me, we all wish it were that simple. Secondly, “let them die?” Seriously? How did you become so desensitized that, instead of defaulting to the basics of the human condition (preserve life of self, protect lives of the young, preserve life of others), you have chosen that those who suffer (and believe me, they do in fact suffer) with addiction are dispensable? You do realize that many of those with addictions began that awful road by being prescribed a medication legitimately, right? Things are not as simple as your 1, 2, 3 list. I hope others show you more kindness and understanding than you have shown yourself to have. And please, do not criticize what you don’t understand. I am just a voice of an everday person wanting to put in my 2 cents worth. I have suffered with constant ongoing pain for many years. I feel bad for the sufferies of those very bad inflictions. We all owe Dr. Lewis a debt of gratitude for her steadfast and devoted activism on behalf of the chronic pain community. Although I struggled to read her address to HHS as I am slowing going blind, I’m confident that she, as always, struck a nerve at the agency by exposing the truth in a well laid out analysis of their incompetence while making concise suggestions to improve services. Our hats are off to both her and to Ed for giving such activism a voice on NPR. I’m proud to know them both. I looked at the way this was written and realized that this is the type of format that the Task Force is looking for. Oops! I wrote my recommendations but it wasn’t in such a clear and concise manner as this is. In the future it would be easier for us pain patients to see an example such as this well in advance of the deadline to respond as this is such an important report that will have implications on our lives. Now I wonder if mine will even be read. Alas, I tried. I wish there was more done, however it is a start. Of course the powers that be will balk at these suggestions making it of superior importance to also institute the knowledge and authority to intercede as well as serve as mediators between law makers, patients and doctors. As a chronic pain sufferer I can foresee an uphill battle and pun intended, no cure in sight in the foreseeable future if those in power that are presently in control of pain management in terms of opiod traetment continue to be allowed total control over literally patients well beings and even their very lives. if only the pmtf members were as cnscientious and thorough as Terri we would have as much need to transform our terribly rough and troubled pain care system. but they are far from having the intellectual capacity the deliberative capacity the absorptive capacity or the humility and moral imagination to get out of their buzzword filled 1970s pain managerialism. none so blind as they who will not see and remarkably the pmtf cant see their role in our failed pain care system. they believe if all of society get with their simplistic nonprogressive involutional beliefs and occupational strategies pain care would be peachy. what a tragic farce. and so the narcisistic designs of simple minded antiindivdualism and antidemocracy of pmtf which is buttressed by institutions who will not make the effort to reform themselves to meet the needs of people in pain should be the focus of change for pain care advocates. systems policies procedures productivity measurables buzzwords cannot serve as a sibstitute for the virtues of each actant in the pain care system. i will remind Terri of the cobra effect goodharts law and campbells law. nonetheless Terri is proof that real virtue lies outside a government who no longer recognizes its value. I have been under chronic pain care for 10 yrs. I have damage to both shoulders. Neck damage from 3 – 7. Left knee damage. I was in a good place care wise until last month. Now we are going backwards by reducing meds. I was on about 112 mg morphine equiv. Not extremely high. Because of junkies with illegal drugs people like myself are paying for it. I agree completely that the DEA should not have any control over pain mgmt. 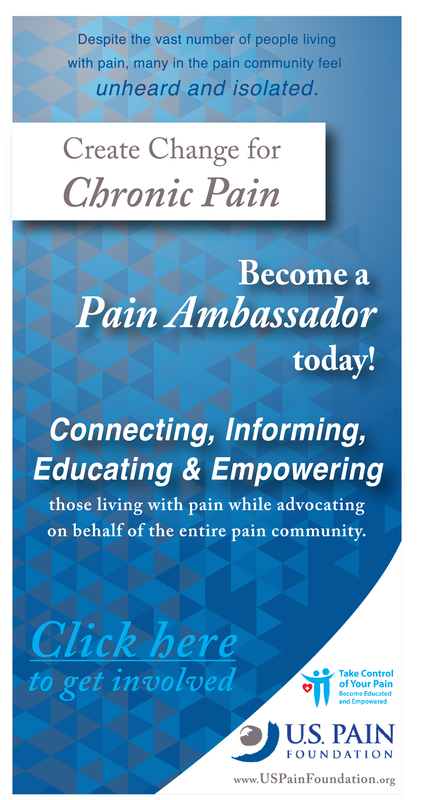 Thanks to all of your work in this most important thing concerning us chronic pain sufferers. These terrible abuses should never taken place against those who are not at fault and haven’t had anything to do with illegal drug abuse of the street drugs coming into our country. We chronic pain patients have had out rights taken away from us. The powers that be have blatantly violated the Americans with Disabilities act. Something is very wrong with any society that does such. But it’s not suprising when the killing of the unborn has been legalized and common place in our country. Population control could be next if this is not stopped. I realize this might sound extreme but think about it. Barrier 8.0 should be right at the top if you ask me! Prescribing practices should be left to the physicians, not the bureaucrats. If it could only be that way. Well written. If you are a Complex patient with Intractable Pain how do you get it through the RUNNING SCARED of the DEA Doctor to treat you? Even for a Major Dental procedure of Re-sculpting the lower jaw, gums are laid open to the point of the first Molar on each side. I have FMS and we don’t sleep well to begin with. 4 hrs out of 24, which means you need 1 more dose for the day. 2 days 12 pills of 7.5 NORCO is Not Sufficient. My lower lip is swollen, and the area around the lip is Bruised. I even PUKED last night the Pain was Excessive, I’d even taken a dose of Pheregan and it didn’t work on the constant nausea. We are being TORTURED by our own government of LIES the CDC told. Many of us are having Heart Attacks or commit Suicide to be out of Level 10 Pain. I’m a Gastro/Cardio patient. That after care kit had Advil in it not that it would have worked on Level 10 pain any more than the Tylenol I can safely take. Many of us were able to work, now we are Bedridden or in a Wheelchair. How does my 13 yr old G. Grand Nephew who is Gene Test Positive for Duchenes MD get DSSI, as the Adult Neurologist his granddad sees, won’t even Certify him as having Duchenes MD, OR Treat him until he can’t raise his arms to above his head, He’s had speech issue because of the Duchenes since he tried to learn to talk. He’s picked on, Bullied. NO protection from the Disabilities Act until he is Certified which this Ignorant Adult Neurologist refuses to do. His life span is not all that great. And his mom who has Lyme’s and Lupus, Kidney, Liver and Lung issues herself is stuck on DSSI Medicare/Tenn-care which is Medicaid for Tennessee. It was the forerunner to Obamacare you have to have Referrals to any doc you see. He needs treatment NOW, not in 3-4 yrs if he can make it that long before he can’t even walk to stave off being wheelchair bound. And protected under the Disabilities Act and under the Right to Try President Trump signed into law. Terri, thank you for your post. Sorry, Terri. The Affordable Care Act is easier to read and apply than your dissertation. 1. When people are in pain, give them pain medicine. 2. If people abuse drugs, let them die. There is always an immigrant waiting. 3. Pay Korea to blow up Chinese and Mexican Fentanyl factories.